I was going to call my blog The Sunday Schnitzel. Because I love schnitzel and that name sounded kind of cool. But since I went with a meat-free name I must be satisfied with sharing with you the basics of the best schnitzel ever (for Sunday or any day). I feel like I have some authority as my mom makes the best schnitzel and I have learned from her. Are mine as good? Well, they’re getting there. 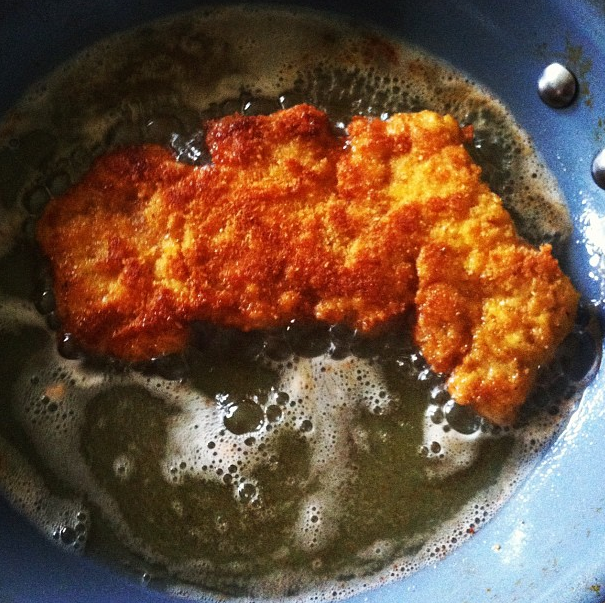 What makes a schnitzel the best? Well, you want it thin enough to have a proper crust to meat ratio, and crispy is important and golden brown (a few burnt patch never did anyone harm either if you asked my grandfather) but I think it also has to do with the salt. You need to season well. But first things first. And when properly done the crust will make a little jacket for the meat, but not be attached to the meat. 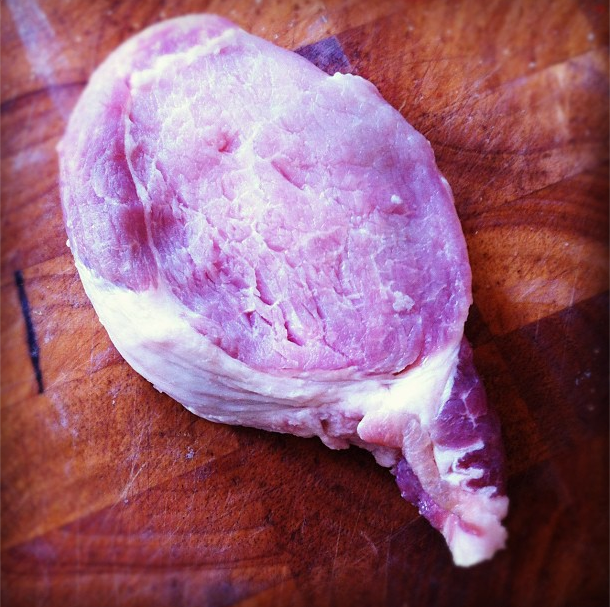 First remove the excess fat from around the pork. I don’t go insane on this, just the main fatty bits come off. I may have gone a little deep with the slicing here, but it is important to cut around the edges so that when you whack your pork with the tenderizer, it will really give way. 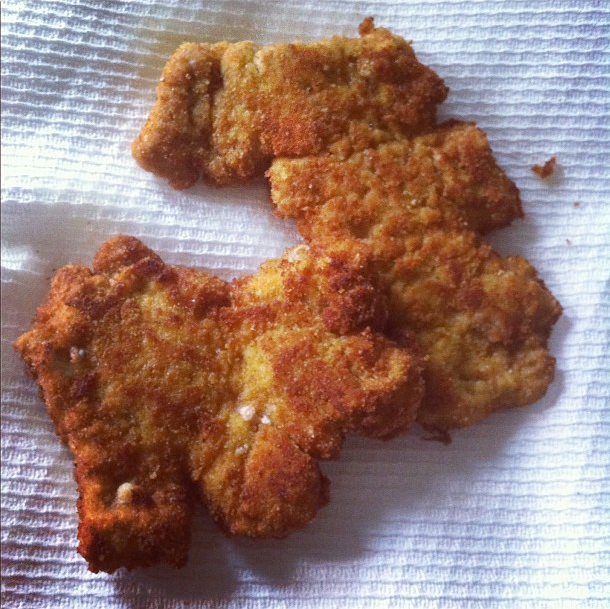 Also, it creates all these delicious breaded crispy edges to rip off and run away with when the schnitzel is cooling. I loved that as a kid so I guess I like to ensure plenty of sneaking potential. 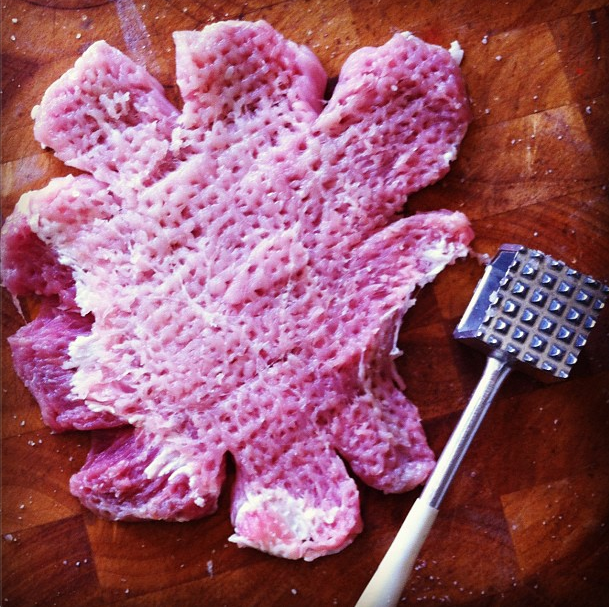 Now you pound your schnitzel with the tenderizer. I probably am a little too enthusiastic–but boy–is it easy to get carried away! Work from the outside in and joking aside, you do not want to tear the meat into bits. Flip it over part way through–the meat should spread to almost twice its size. You will now salt it on both sides. Next step is the breading. Put out a plate with some flour. A plate with bread crumbs and a large bowl with a couple of eggs lightly whipped with a fork. Add salt to all of these plates. 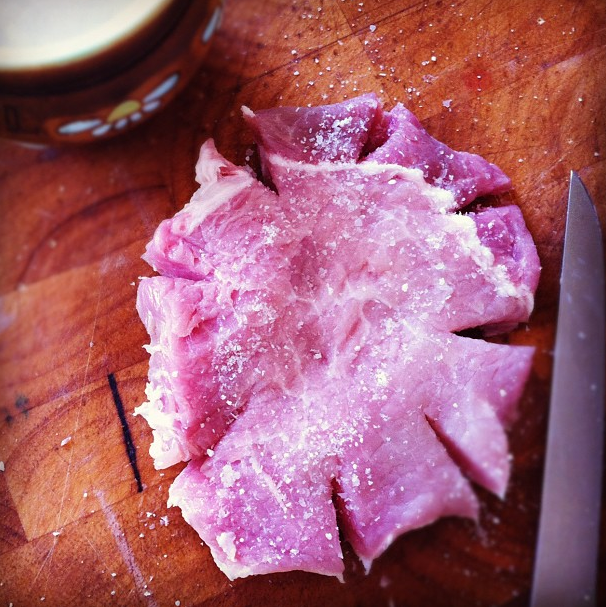 This is what gives the savory, salty, yum to the crispy fried schnitzel. Triple level seasoning. 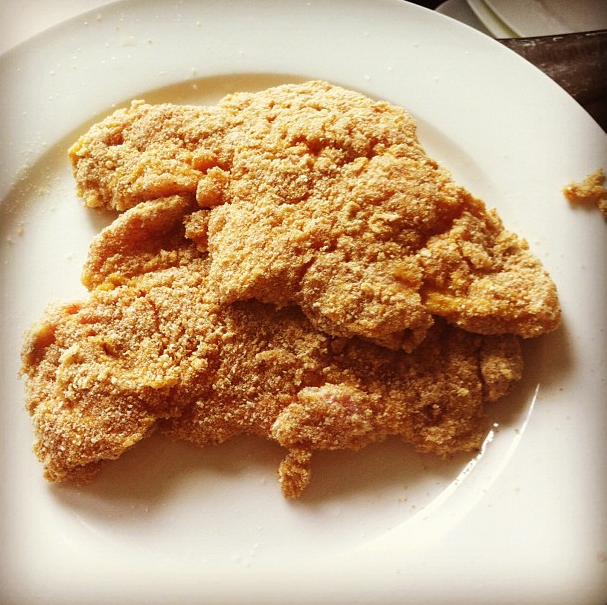 First take one of the naked schnitzels and put it in the flour until well coated–do not miss the nooks and crannies. Now dip this into the egg mixture, the egg will stick to the flour. Let excess egg drip off and then lay into the bread crumbs. Coat and turn well–again–make sure you are getting into the nooks and crannies. Should be well covered. Using a fork it is possible to do this without mess, most often I end up with breaded fingers though. I do not think this happens to my mom. Pile up the breaded schnitzel on a clean plate until ready for flying. You can even bread these a little in advance, and then just fry them an hour later for dinner. 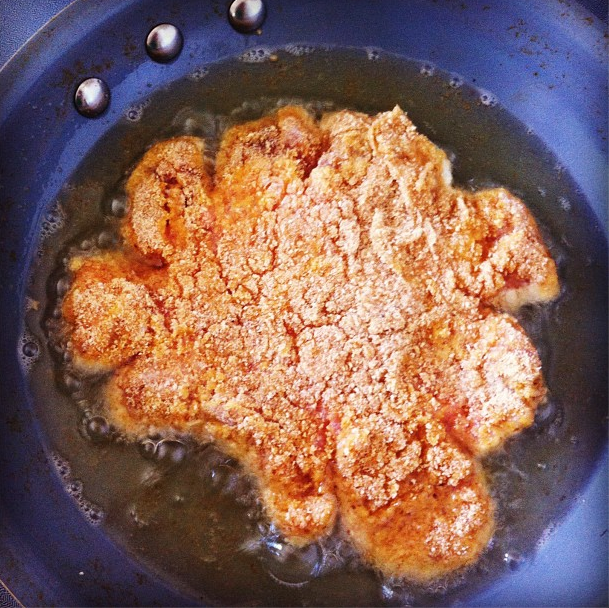 Frying: This is where my mom would instruct ” just pour a couple of tablespoons of oil into the pan” and fry. No. If you watch what she does, you will know that the oil actually comes about halfway up the schnitzel. So, glug in some vegetable oil (or something fairly neutral with a high smoking point-add some butter if you like–YUM) and heat over med-high. Add the schnitzel when the oil is glistening. Should sizzle as it goes in. no this schnitzel did not shrink, the one above was a previous batch. Flip the schnitzel when golden. It only takes a minute or two. Finish on the other side. Watch the heat, you may need to lower it a bit. 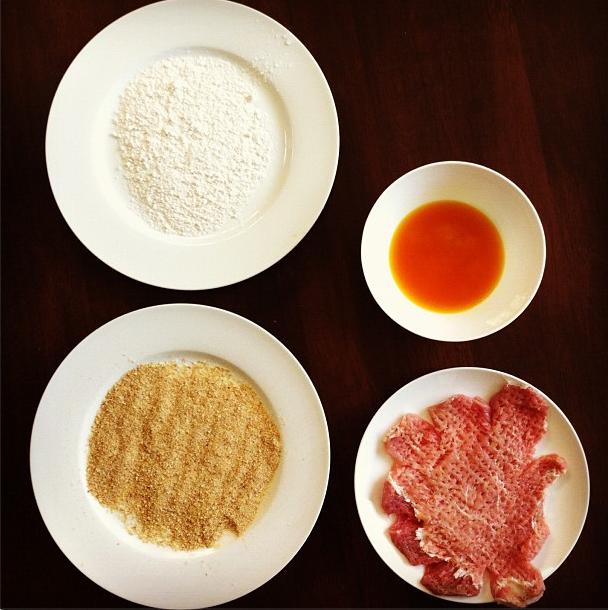 Remove schnitzel and let dry out on a paper towel. Eat immediately. With potato salad if possible. My mom’s potato salad if circumstances are ideal. (I should post that one day…) Usually we poke the schnitzel with a fork and then drizzle it with fresh lemon before attacking. Do not add cheese to the plate. That’s just crazy. **OK, so no reference to schnitzel/wiener schnitzel in the Penguin Companion to Food, but Shoofly Pie, that’s got a few paragraphs. WHAT? What do penguins have against the the Austrians? Here is some schnitzel history from the German Food Guide. Holy moly schnitzel. I’m going to try your mom’s method! My mom’s always turns out the perfect crispiness. I think it has to do with the copious amount of Crisco she used to fry it in. 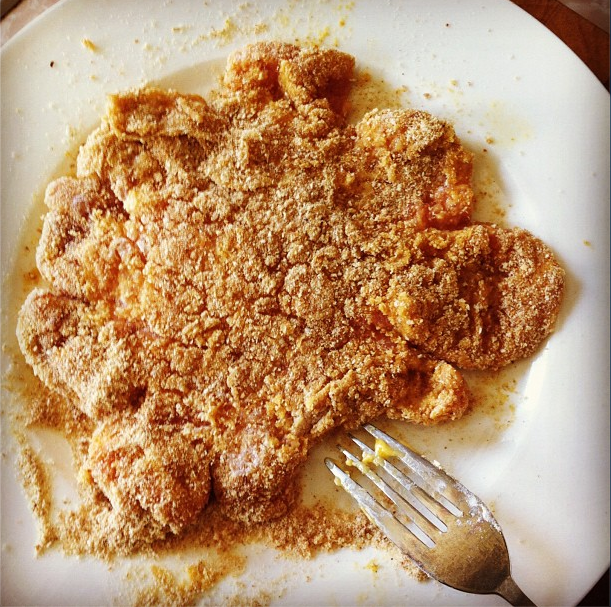 ohhh–I do not know if one mom can outdo another mom’s schnitzel! Have never tried frying in crisco. Intriguing. Maybe we need to swap methods. Pork won’t fly in my house, alas. 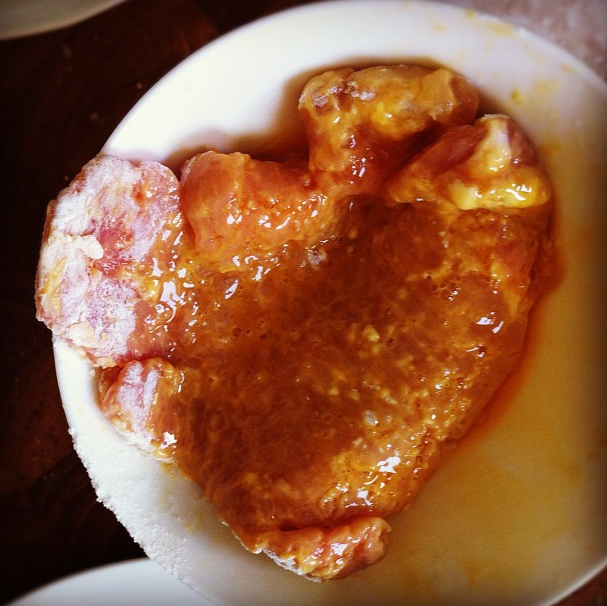 Would you treat chicken the same way? yep! And it will still taste great–I think in my opinion I like the texture of the pork a bit better but my mom prefers chicken. I will have to make this soon. I need one of them meat beating tools though. I can feel my inner cave woman coming out! Love the German Food Guide and recipes included. 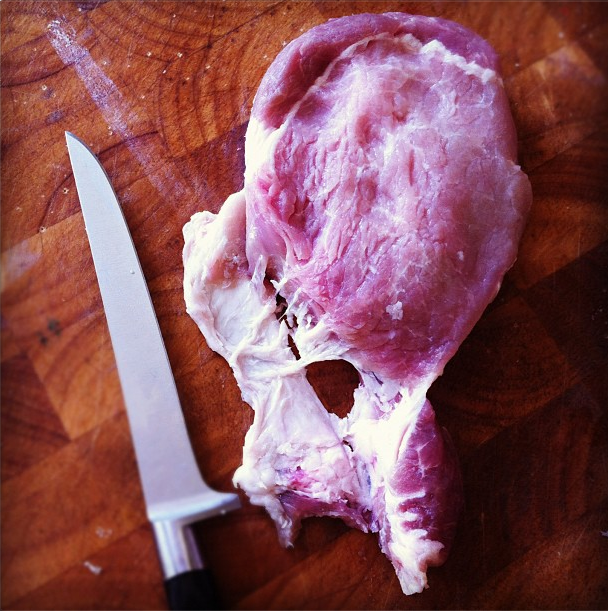 We also love Schnitzel best with pork, it seems to be a little tastier and not as dry as with veal. Chicken is also very tender in a Schnitzel. Bon appétit!